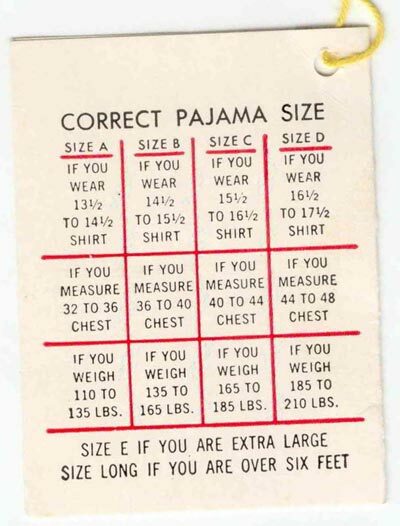 Vintage pajamas for men have funny sizing... at least, that's what we always thought. Men's sizes are usually so pragmatic. A size 38 means a 38-inch chest, for example. Easy. But when it comes to pajamas, not so easy. 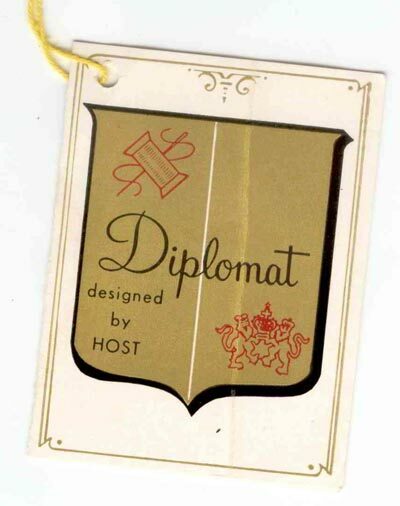 Many vintage men's pajamas have letters for sizes, and who knows what a size C is? Interesting. It's reasonable that size A is the smallest, and size E is the largest. But it divides the sizes into something a bit finer than small, medium, large... like those plus extra-small and extra-large. At Vintage Vixen we always translate the measurements of an item into our modern size chart, so the lettered sizes (at least on our site) become nothing more than a quirky vestige of times gone by... and one of the many intriguing aspects of vintage clothing. 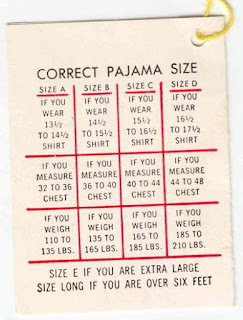 Nonetheless, this chart can be a helpful resource for those trying to size pajamas and stymied by the old size descriptors. Also interesting to note is the smallest size for men. We don't know too many adult males who take a 32-inch chest!